Funeral service for Kenneth D. Estelle, 65, Lawrence will be held 10:30 a.m. Monday, January 28, 2013 at Warren-McElwain Mortuary. Burial will follow at Oak Hill Cemetery. He died January 21, 2013 at his home. He was born on April 12, 1947 in Lawrence, KS the son of Howard Montgomery and Ruth Isabelle (James) Estelle. 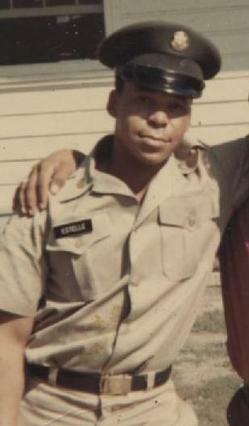 Kenneth served in the US Army during Vietnam. He worked as a corrugator at	Lawrence	Paper Company for 43 years. He enjoyed Baseball and loved his grandkids. He married Virginia D. Rowe on August 27, 1971. They later divorced. Other survivors include daughter, Terri Pate, Huffman, Texas; two sons, Robert Lewis and Kevin Estelle, Ft. Worth, Texas; sisters, Karlene Moore, Ermal Shepard, Loretta Carraher, Lynn Estelle; brothers, Evertt Estelle, Norman “Tony” Estelle; 11 grandchildren and 6 great-grandchildren. He was preceded in death by her sister, Beverly Mae King and brother, Howard Montgomery Estelle Jr. The family will greet friends 2-4 p.m. Sunday, January 27, 2013 at the mortuary. Memorial contributions may be made in his name to the St. Luke A.M.E. Church and may be sent in care of the mortuary.